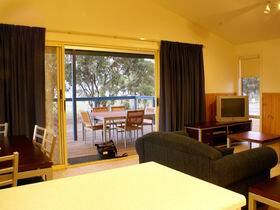 Overlooking beautiful Lake Bonney, 17 QED offers premium lakeside self contained accommodation for two to four people, and is ideal for a romantic getaway or an escape with friends. With panoramic windows, you can gaze at the fabulous views, see the wind surfers and yachts skimming across the water or be captivated by a spectacular sunset. 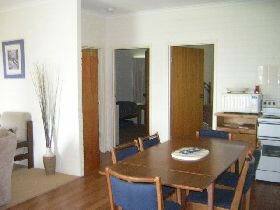 Barmera Lakeside Apartment is centrally located and is a convienient base for exploring the many aspects that the sunny Riverland has to offer. The Berri Riverside Caravan Park sits on 20 acres of shaded lawn area, across the road from the River Murray in a peaceful, relaxing and tranquil setting. 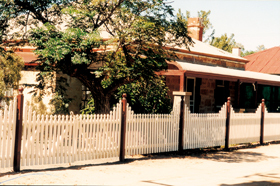 Bessie's of Morgan is one of the first privately built homes in Morgan circa 1878. 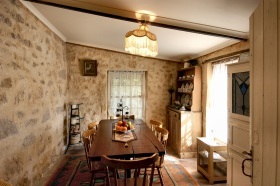 This lovely old stone early settlers cottage has been carefully restored to retain its original old world charm, combining with all modern conveniences. Featuring polished wooden floors, throw rugs, comfortable lounge with open log fire, air conditioner, three bedrooms, queen with combustion fire, double and single and also a modern bathroom and laundry. Unique early settlers dining room. Overhead fans in all bedrooms. 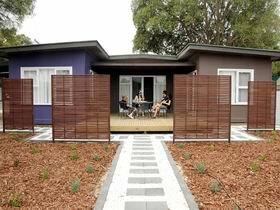 Large enclosed, private barbecue, lawn and garden area. 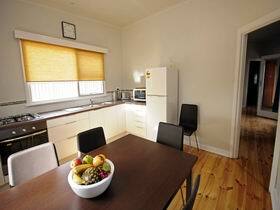 Room to move and relax, off street parking for car, boat, caravan. Reasonable rates, close to all amenities. 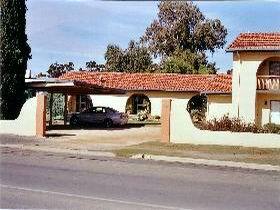 Big River Stayz is unique holiday accommodation located within the town of Berri, the hub of the Riverland district, catering for couples, families and corporates. 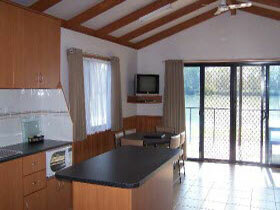 Winner of the 2008 and 2009 South Australian Tourism Awards, BIG4 Renmark Riverfront Holiday Park combines the best of both worlds: first class accommodation in riverfront cabins and sites on one kilometre of world class Murray River frontage. 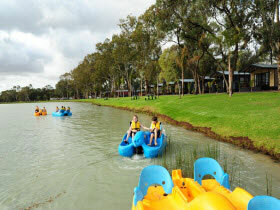 BIG4 Renmark Riverfront Holiday Park is paradise for water skiers, fishermen, and water lovers. 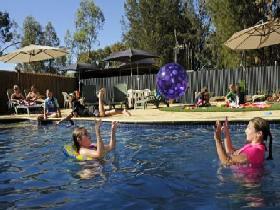 Discovery Holiday Park - Lake Bonney is situated in the heart of the Riverland and central to most tourist attractions. A picturesque setting for a caravan/camping or accommodated holiday, as well as having a Mediterranean type climate and more sunshine hours than the Gold Coast, Queensland. 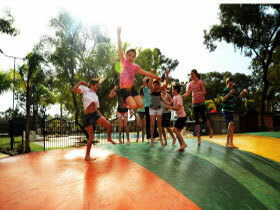 The park is located on the shores of Lake Bonney and attracts tourists and holiday makers all year round. 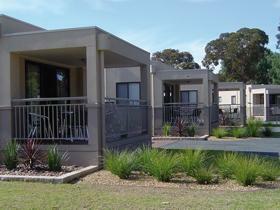 Green lawns, shady trees and beautiful sunsets create a wonderful atmosphere to relax or play. The lake is ideal for sailing, canoeing, windsurfing, skiing, boating and fishing. The park has its own boat ramp and a safe swimming area for children. 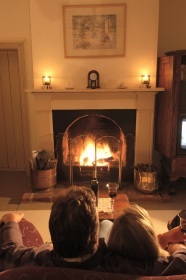 Self contained cottages and cabins are four or six berth units with two bedrooms and fully equipped kitchen. 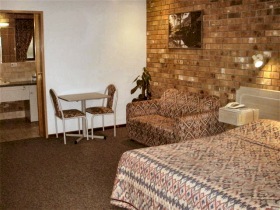 Come to Kingston-On-Murray Caravan Park and discover our hideaway close to Banrock Station Wine and Wetland Centre; this beautiful award-winning park is in a picturesque and peaceful setting two kilometres off the Sturt Highway. 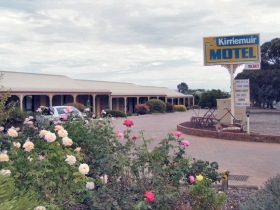 Kirriemuir Motel and Cabins is situated on a privately owned citrus orchard and vineyard. Just 50 metres from the majestic Murray River, with natural bush and walking trail immediately adjacent featuring magnificent river views. Kirriemuir boasts peace and serenity - an ideal place to unwind and enjoy nature. 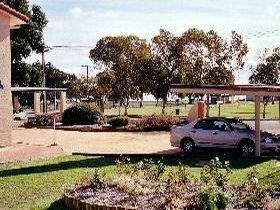 Loxton Riverfront Caravan Park is located in a peaceful river frontage location away from the traffic noise of the town and main roads. 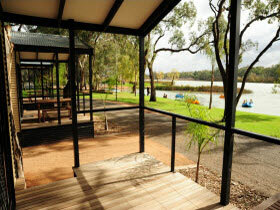 Unwind from your busy lifestyle; fish, water-ski, canoe, row, bird watch or just relax with a picnic on the riverbank. 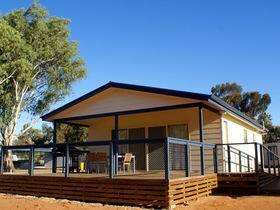 Large ensuite and powered sites, unpowered sites in natural bush settings, and cabins - both ensuite and budget are available. Laundry and ablution blocks are well appointed and cleanliness is a priority. 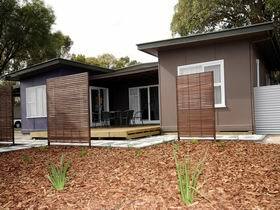 Facilities for babies and the disabled make this an ideal family destination. The area is safe and shady for children, with canoe hire and a free nine hole, sand scrape, 'hit and giggle' course for family fun.